We demand autobiography from auteurs. As soon as we grant adjective status to an artist – Hitchcockian, Bergmanesque, Spielbergy – we begin combing obsessively through their work in order to cunningly infer insight into their personal lives. Few filmmakers have met this requirement as forcefully as Roman Polanski. His horror film Rosemary’s Baby is either an all-time classic or an embarrassing clunker depending on who you ask, with the film dividing cinephiles like few other canonised works. The story of a pregnant woman who comes to believe that she is the subject of occultist manipulations made s aplsh on its release, but took on a whole new meaning when, the following year, Polanski’s pregnant wife Sharon Tate was murdered by the Manson Family cult. Once you’ve watched that, continue your evening of biographical tourism with The Pianist, Polanski’s 2002 Holocaust drama. Although it is a biography of Polish-Jewish pianist Władysław Szpilman, it is set in a time and place that Polanski himself experience as a child, and so there is a palpable verisimilitude to the aesthetics and detail and drama. Details from Polanski’s childhood colour the film, details from his life repurposed and merged with Szpilman’s. 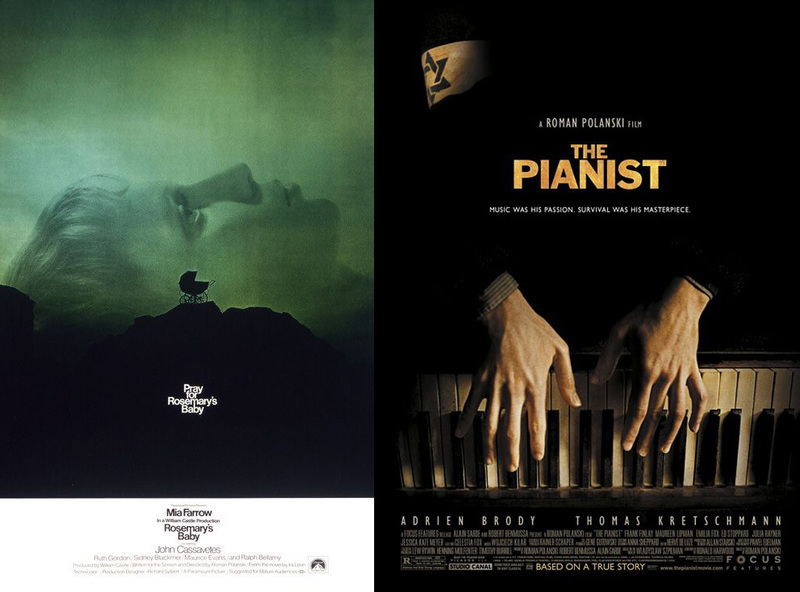 Both Rosemary’s Baby and The Pianist are two essential stories, not just because they adaptively relate key parts of Polanski’s life, but because they are enduring works in their own rite that bookend a career, presenting the filmmaker he was in the 20th century, and the one he became in the 21st. Substitutions: If you can’t get or have already seen Rosemary’s Baby, check out Chinatown (1974). Arguably the best film in his canon, Chinatown is an enduring exemplar of the gumshoe genre, grittier and darker than its Hayes Code-curbed antecedents could ever afford to be. If you can’t get or have already seen The Pianist, check out Carnage (2011). Latter-day Polanski has displayed a repeated interest in adapting single-location stageplays to the screen, irising in on the human drama of people bottled in a confined space. Carnage is arguably the best of the lot, as two couples (Jodie Foster & John C Reilly and Kate Winslet & Christoph Waltz) poke and prod at one another over the course of an afternoon. The Hidden Gem: Want to see something off the beaten path, a title rarely mentioned when people talk about the films of Roman Polanski? Then you should seek out Knife in the Water (1962). 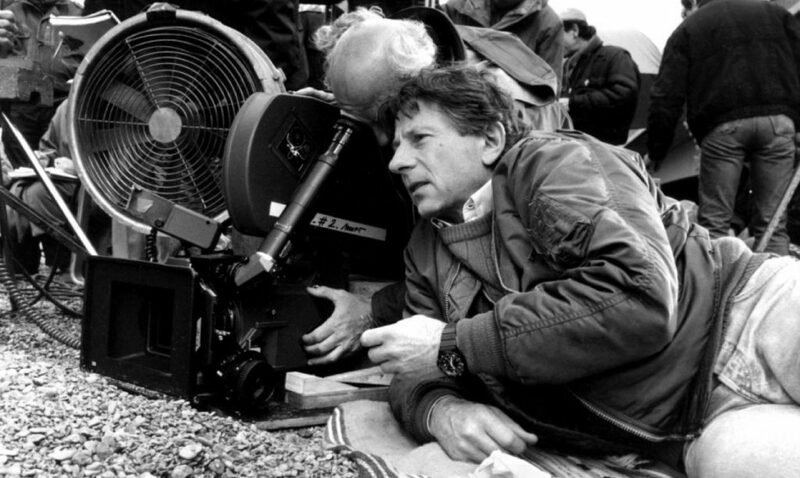 It’s strange to suggest a renowned filmmaker’s debut film is somehow “hidden”, but with so much of the conversation around Polanski’s filmography beginning with his arrival in the United States, the early work is often pushed to the background. His first feature, shot on location in Poland, tells the story of a wealthy couple who invite a hitchhiker to join them on their yacht. Tensions, as they often do, escalate. It’s a remarkable entrance, skilled and confident, and leaves little doubt as to why his career took off with such sudden force. The next episode of Hell Is For Hyphenates, featuring Emma Westwood talking the films of Roman Polanski, will be released on 30 November 2017. This entry was posted in blogs and tagged carnage, cheat sheet, chinatown, knife in the water, roman polanski, rosemary's baby, the pianist on November 24, 2017 by The Hyphenates.